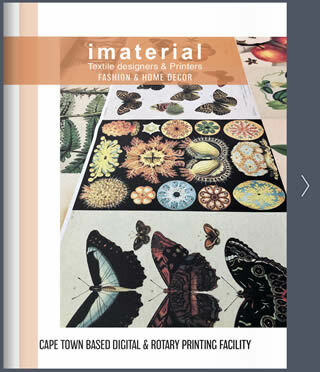 At Imaterial we strive to manufacture excellent quality textile prints for our customers and offering the convenience of being one of the few locally accessible digital fabric printers in Cape Town, South Africa. 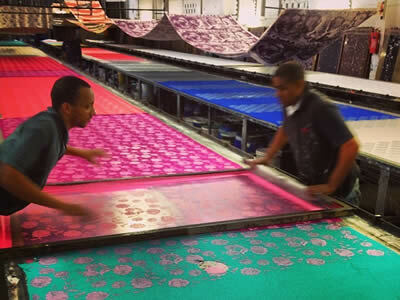 We print your custom design onto natural & synthetic textiles countrywide. 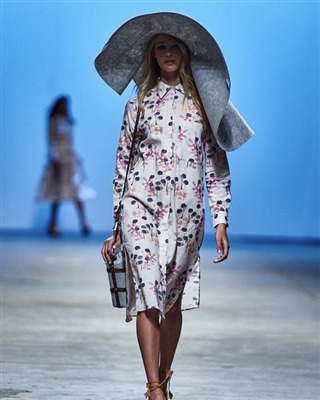 Specialists in fabric printing for the fashion, home decor, interior design, craft & entertainment industry. 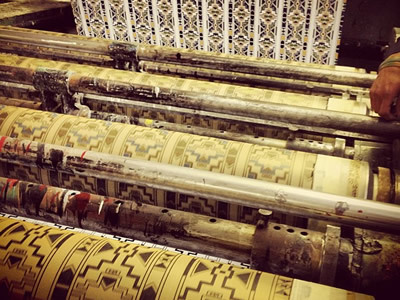 Traditional hand screen roll to roll printing. 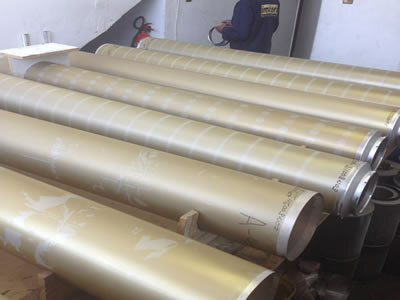 High speed, roll to roll, rotary repeat pattern printing with our own in house nickel screen engraving department. 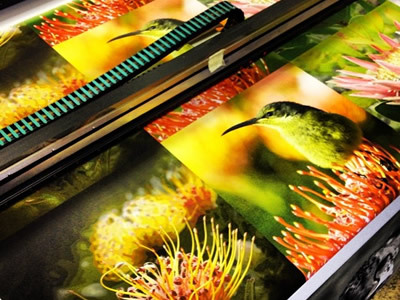 Industrial digital textile printing using the most advanced European technology available in todays market. In house roll to roll coating, padding, finishing and fabric treatment facility. Our artstudio is available to assist, help create and prepare your designs for print. Our competitive pricing, versatility, responsiveness, modern technology and quality workmanship make us the best viable alternative to imported printed textile suppliers. 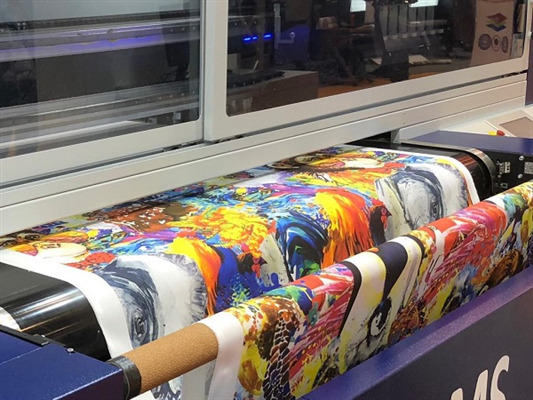 Next generation Industrial Digital Textile printing direct onto cotton & linen fabrics. Proud to be using the most updated Italian engineered eco-friendly digital technology. 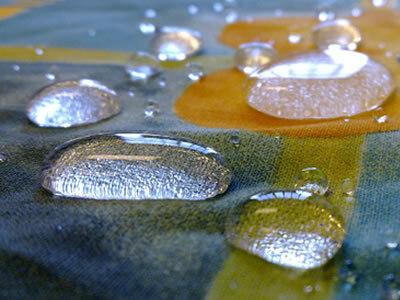 Low carbon, waterwise fabric printing for natural fabrics. We have a large collection of existing designs from which to choose. 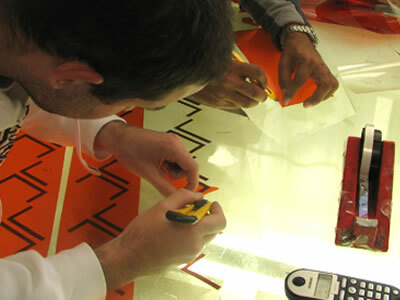 We also do Commission Screen Engraving and we supply blank rotary screens, end rings, glue and photographic emulsion. Visit our Art Studio for expert advice and helpful service. Our designers will help you get your print design or fabric ranges into repeat and pattern matched ready for printing. 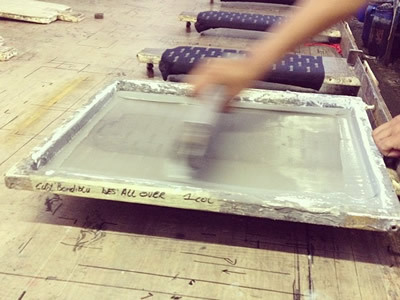 32 years of hand screen printing know how experience, roll to roll in the old traditional style. 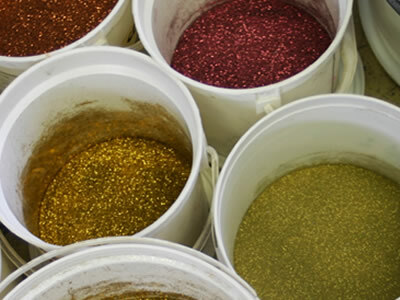 Especially great for printing paste and metallic onto dyed colour fabrics. All staff are employed from our local surrounding areas of the Western Cape and are in house trained. We have a large variety of fabric coating and padding treatments. Water repellant, softening, colour fixing, wet & dry rub improvement or aiding of any other fabric problem. Made up garments or cut panels screen printed. Want T-shirts printed? Looking for branded textile prints? We have many years of experience in this practice. Our printing dyes are all water based and solvent free.